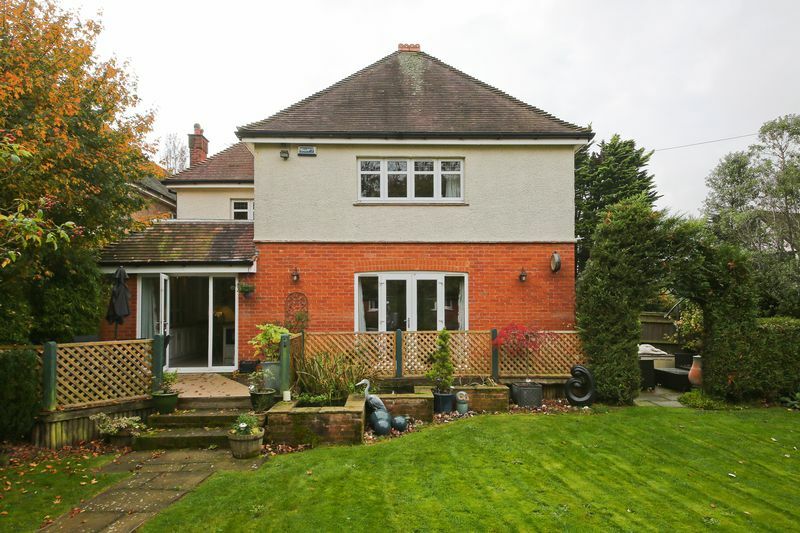 Situated within a desirable, leafy tree-lined road is this remarkable five bedroom (four double's) detached family home, occupying a substantial corner plot. The property sits behind a walled boundary which with its wrought iron railings adding a touch of sophistication and security. 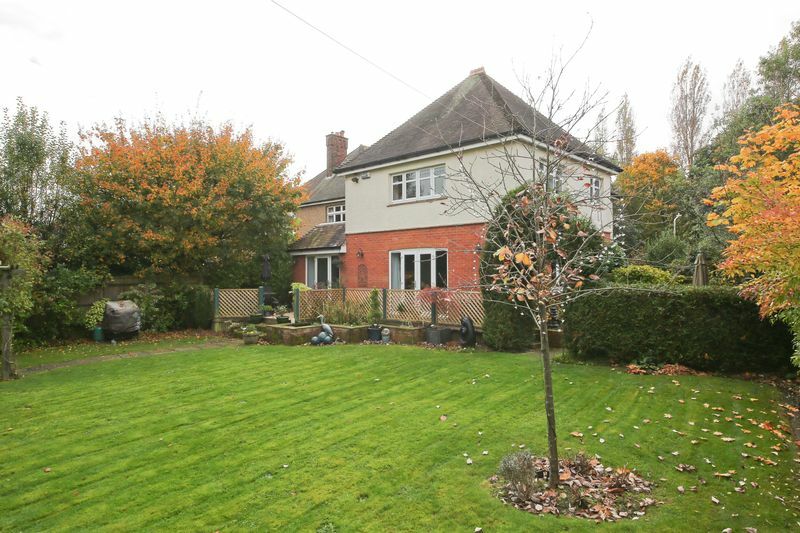 As well as the five bedrooms, the property benefits from two driveways, a large garden and a gymnasium/office. 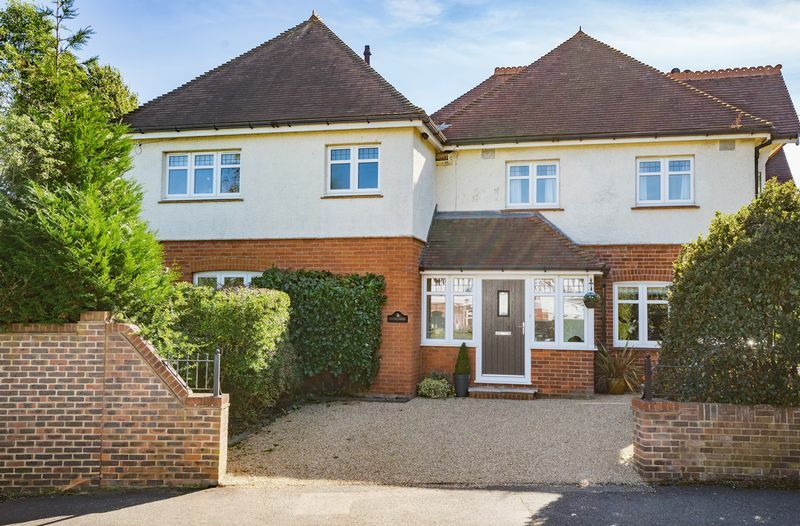 Chestnut Avenue is one of the more desirable streets in Southborough where a house of this stature rarely becomes available to the open market. 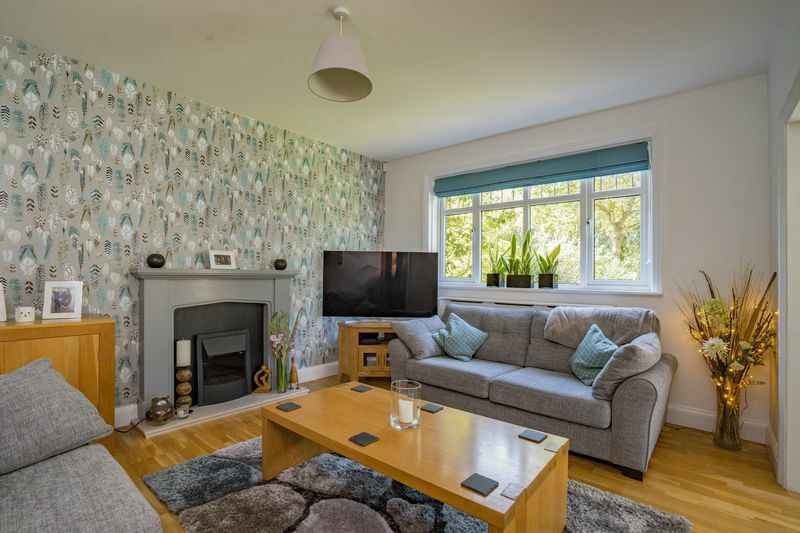 Chestnut Avenue is just a short walk away from the mainline train station, where excellent transport links can see you in London well under the hour. In addition, the A21 is a short drive away giving easy access to the M25. 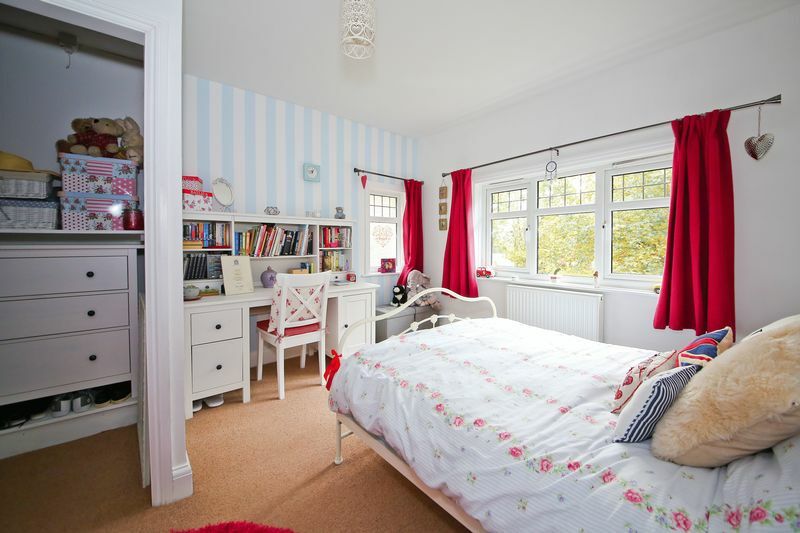 For centres of education the property is situated within walking distance to Southborough Primary, Boys Grammar, TWGGS (Tunbridge Wells Girls Grammar), Skinners/Skinners Academy and St Gregory’s Catholic School. 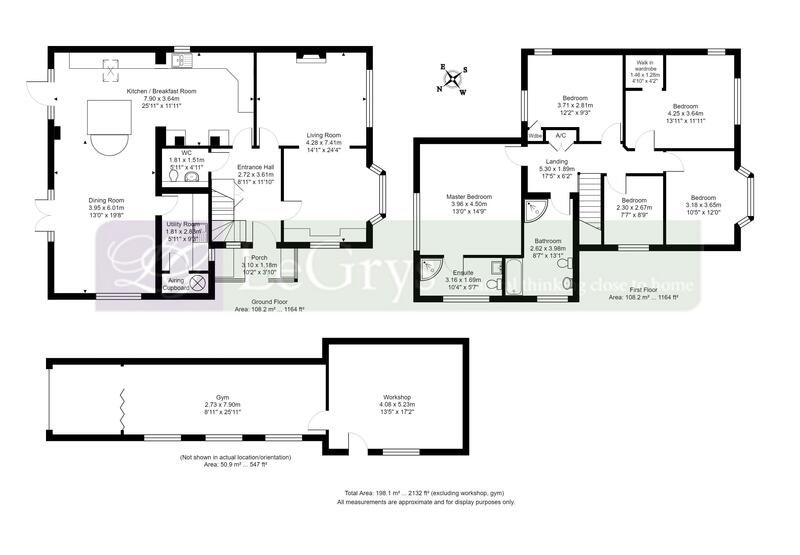 The present owners have also been given pre-application approval for the build of a separate dwelling within the plot. A newly laid neat gravel driveway at the front of the property allows three cars to park with ease, a second driveway gives access to a further parking space, behind secure double wooden gates. From the main driveway a glass-fronted porch takes care of shoes and muddy boots along with coat hanging space and two deep cupboards which help to take care of storage. 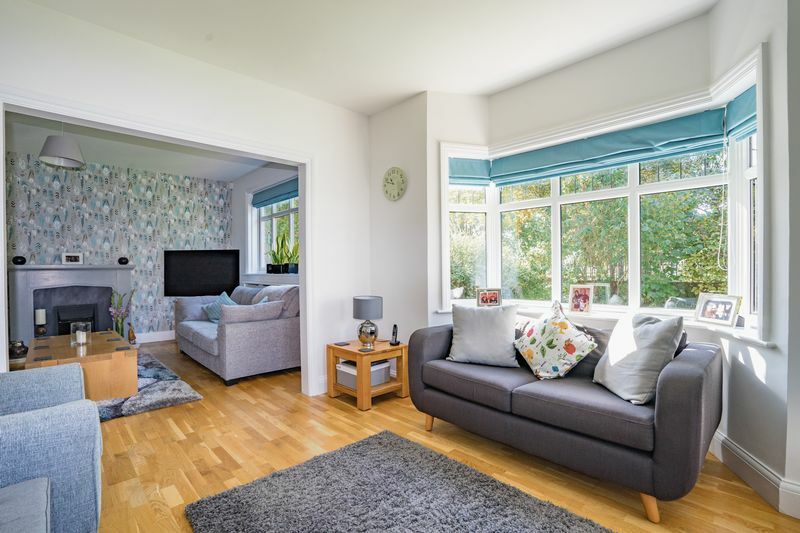 An attractive grey wooden, partly glazed modern front door leads you from the porch into the newly decorated spacious downstairs hallway which has a fitted under stairs cupboard. The hallway benefits from a downstairs cloakroom, which is of generous size. 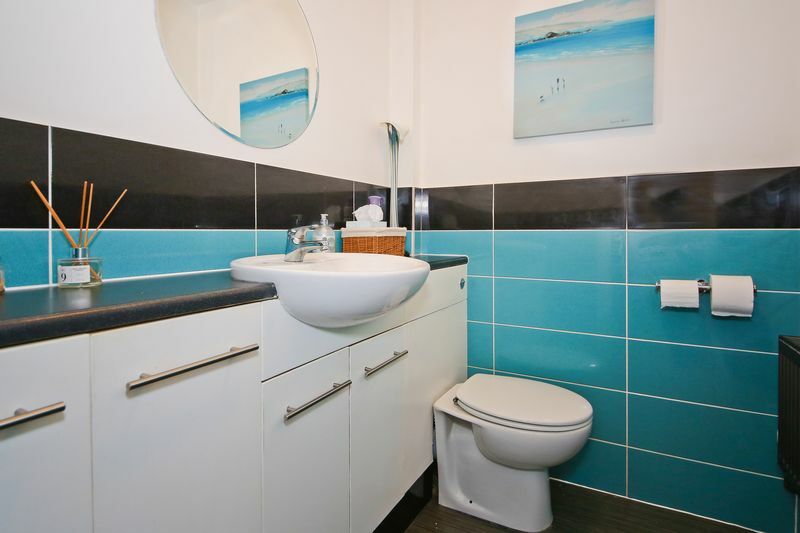 The cloakroom has been tiled with contrasting turquoise and polished black tiles. A circular wash basin is inset within a useful fitted unit with cupboards to either side. Completing the cloakroom is the WC, extractor fan and radiator. 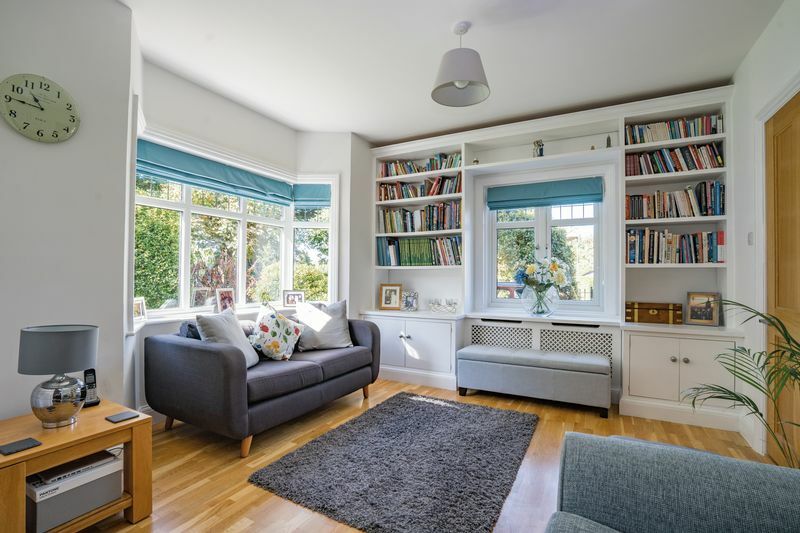 The large, bright and welcoming sitting room has many attractive features including a bay window and a further large window looking onto the side garden and an additional window looking onto the front garden. Creative cupboard space and shelving surround the front window to assist with storage. The floor is laid to a beautiful oak finish and the room has been newly decorated with fresh shades of duck egg and grey with a gorgeous feature wallpapered wall. There is an electric fireplace with attractive grey painted wooden surround to match the smart colour scheme. A partly glazed return door provides access back to the hallway. This is such a wonderful space for the family to relax. 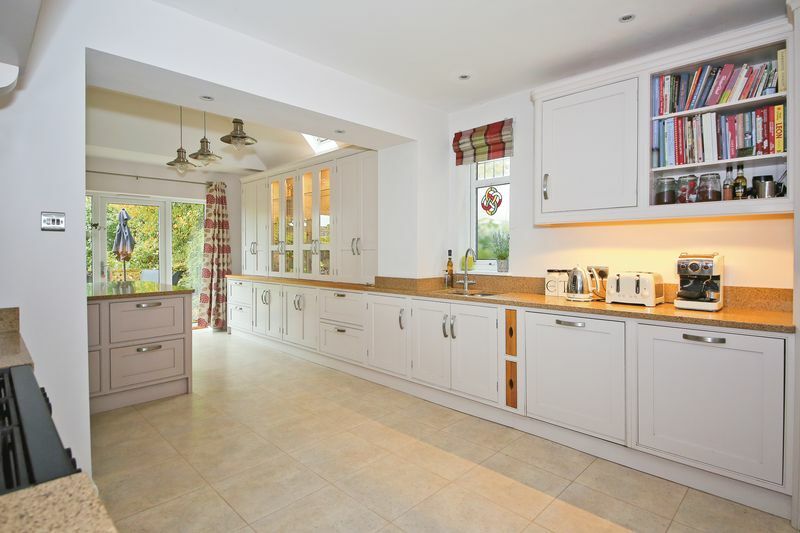 The stunning fitted bespoke kitchen makes for any keen cook's dream. 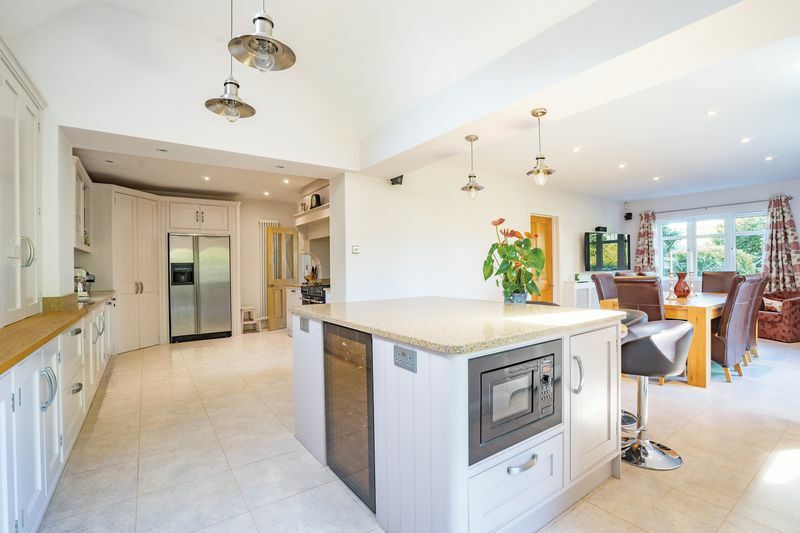 There are an array of fitted floor and eye level units as well as a range of fitted appliances to include a range cooker with five-ring gas top, Bosch dishwasher, wine fridge and microwave, with the latter two sitting neatly within the large square island. 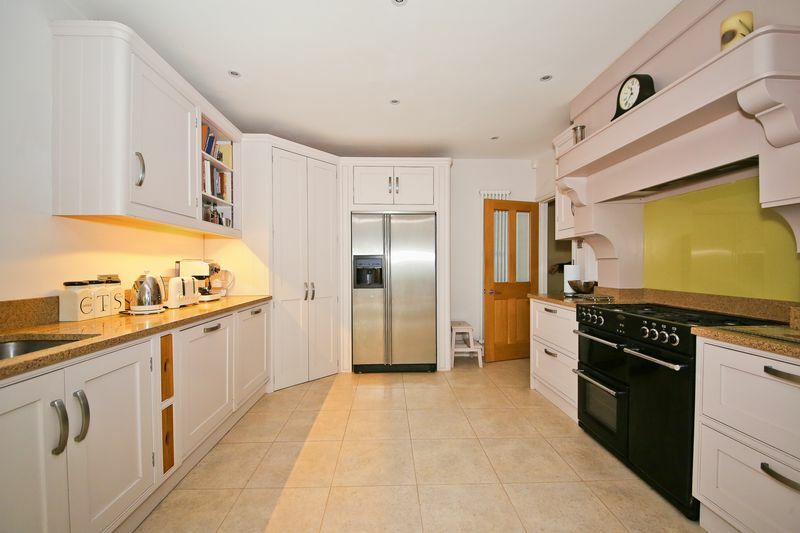 There is also additional space to house a large American style fridge/freezer. Completing the kitchen and adding to its splendour are the attractive Corian work surfaces, which can also be found on the rather large island. 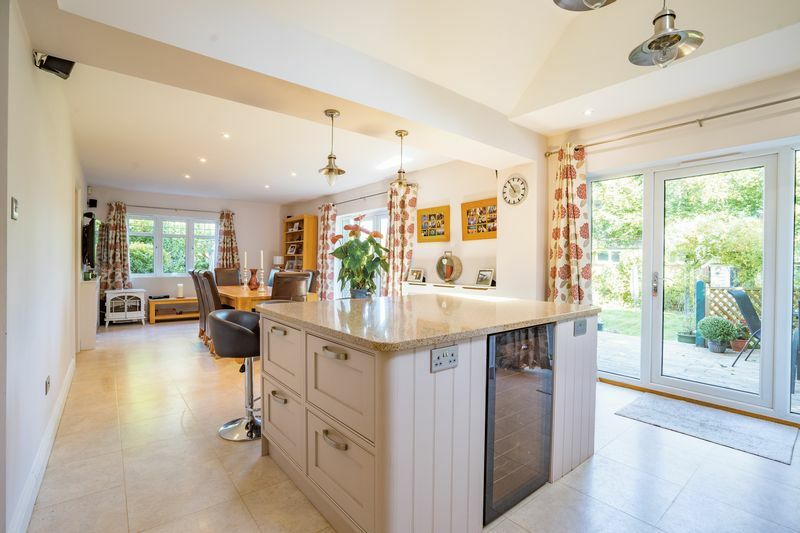 The island sits within the kitchen's extension where further wall units can be found along with a door leading you to the outside decking space. The island not only creates further space for preparing food but also lends itself as a casual dining space, with a solid wood circular breakfast bar attached with space for a number of breakfast bar stools. Again natural light is ever present, with carefully appointed Velux and floor to ceiling windows ensuring this is always a bright and airy space. 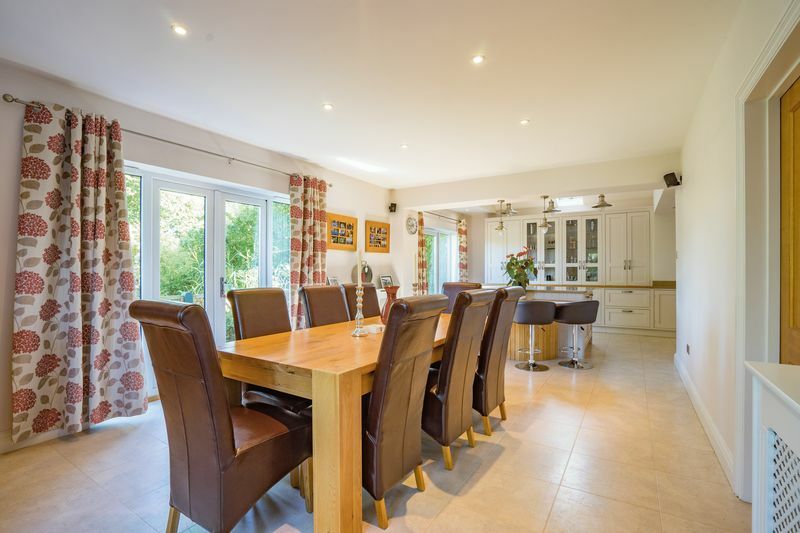 Stretching from the kitchen, completing the L-Shaped extension is the spacious dining area, with attractive tiled flooring continuing from the kitchen. 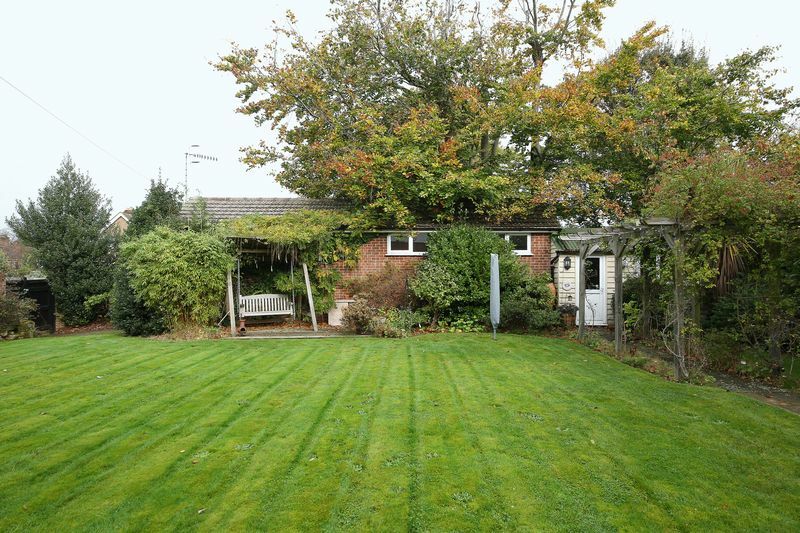 This area benefits from being dual aspect with pleasant views onto the gardens. For keen movie lovers there are a number of speaker points to allow for a surround sound system. Additional doors from the living space take you to the garden and outside decking. A perfect space for entertaining and for enjoying family meals. Finishing the ground floor is the useful utility room, complete with an additional sink, work surfaces and wall/eye level units. The utility room has plumbing and electricity to house both a washing machine and tumble dryer, ensuring these are shut away from day to day life. Space is available for an additional small fridge, whilst a heated towel rail and fitted airing cupboard ensure that clothes/linen can be dried with ease. A striking, solid oak staircase brings you from the ground floor to the first floor, where you are greeted by a large landing. From the landing are the five bedrooms, along with family bathroom and access to one of the two lofts the property has to offer. The principle bedroom can be found at the rear of the property, an impressive size with plenty of space for wardrobes and furniture. Wide windows continue the natural light theme and also provide far reaching views over the surrounding area. 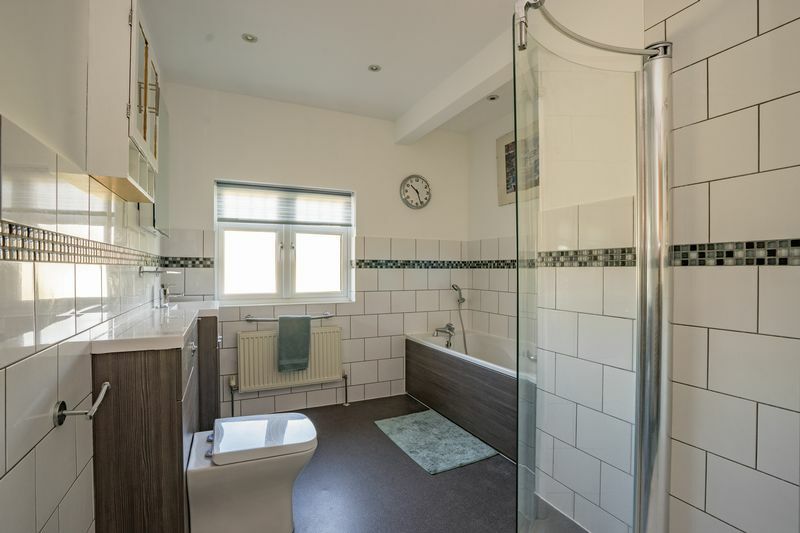 From the principle bedroom you will find the en-suite shower room complete with double width shower with brand new shower screen, WC, pedestal wash basin and chrome heated towel rail. 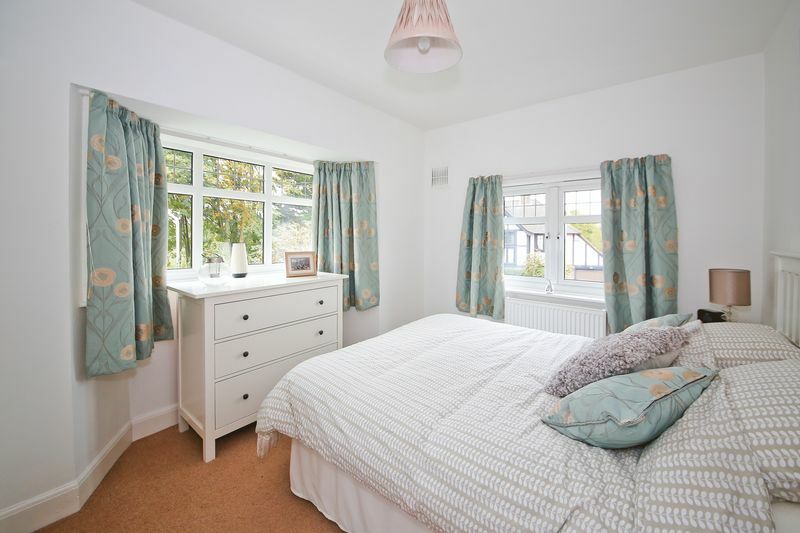 Bedrooms two and three are both similarly sized double rooms, both with plenty of space for furniture. 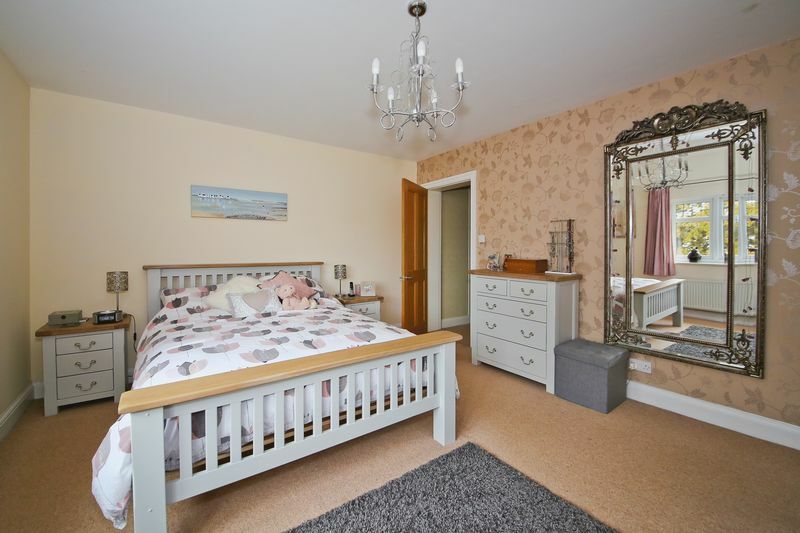 The second bedroom has the benefit of being dual aspect and having a good sized walk in wardrobe. The fourth bedroom is a further double room, again dual aspect. 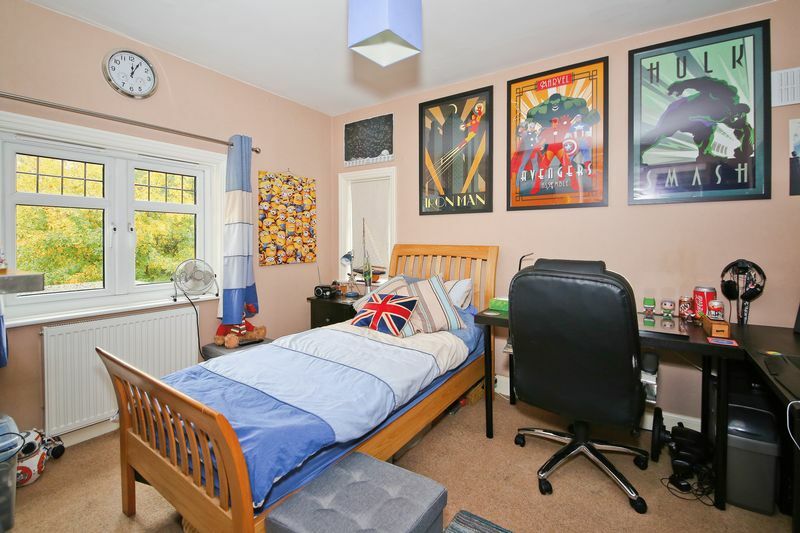 Bedroom four has the benefit of a pleasant outlook and a single fitted wardrobe. Bedroom five is a single bedroom which could also be used as a study from home. 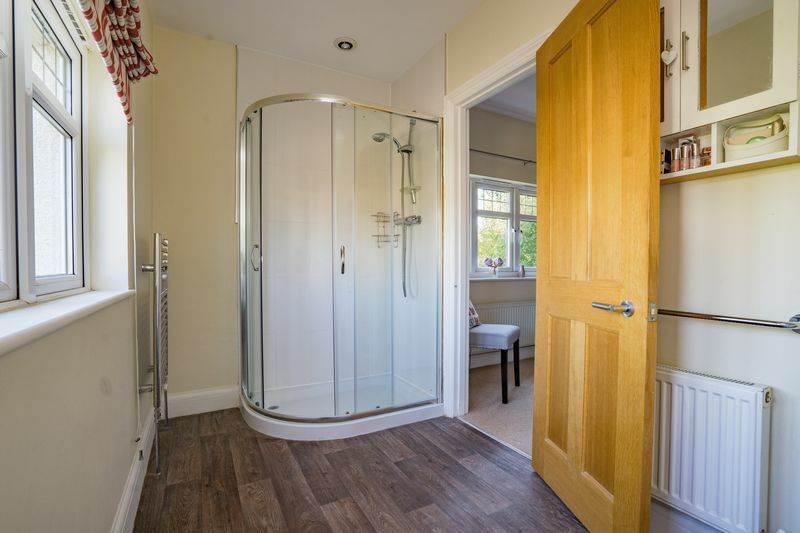 Completing the first floor is the impressive family bathroom, complete with a bath (with shower attachment), huge walk in shower with separate drying area, WC, wash basin and a heated towel rail. The room has a top quality finish and the suite has newly fitted smart dark wood panelling. Outside you will find immaculate gardens, wrapping around the majority of the house. Mainly laid to lawn the garden is surrounded by an abundance of flower beds and mature shrubs/bushes all of which contribute to a particularly private space. For dining there is a decked area from the kitchen with a footpath leading to a private paved seating area to the side of the property and steps which lead down to the lawn. From the lawn a stone path winds to the bottom of the garden, beneath an attractive, planted pergola. The path leads to a large brick built storage facility which is currently used as a workshop but once converted could offer itself for many different purposes. 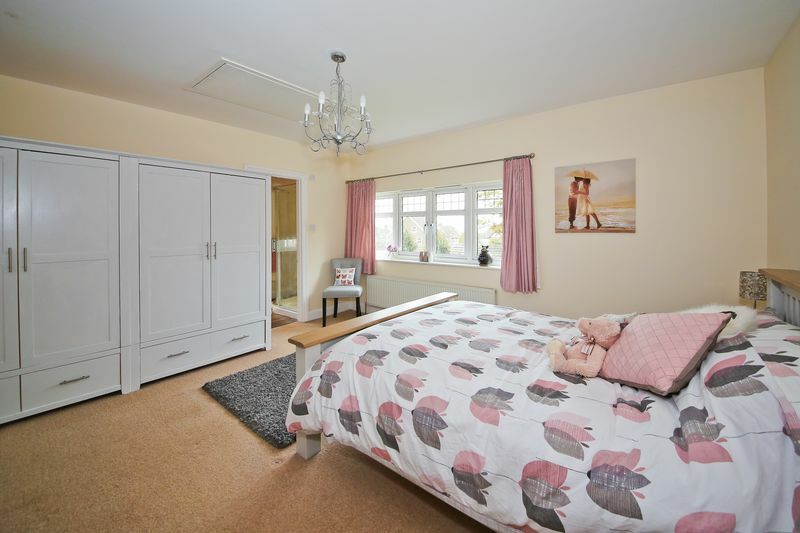 A further door leads you from this room into a smartly converted triple length garage which is used as a home gymnasium. 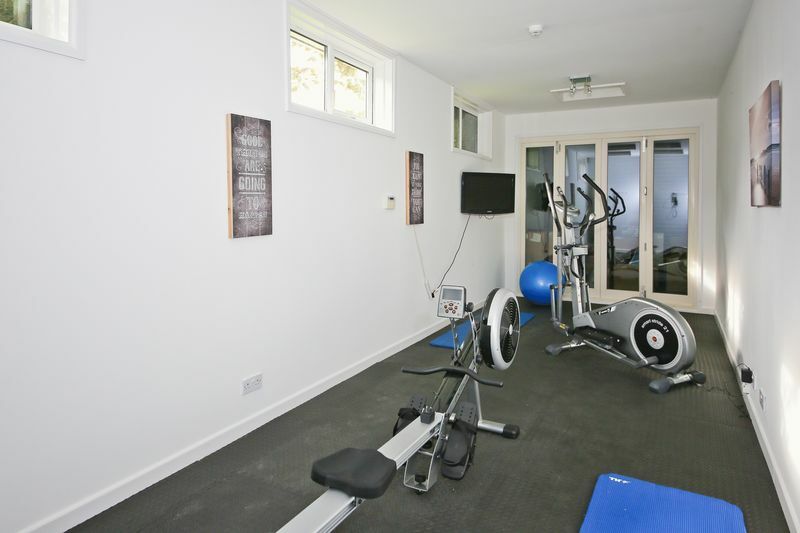 The gymnasium has been converted to a high standard, complete with matted flooring, double glazed windows, tv aerial and an array of fitted plug sockets. Of course this space could be used for other purposes such as an office/ Yoga studio or teenagers' den. Tunbridge Wells is home to a number of well-regarded schools the closest being St. Matthews and St Johns Primary and nearby Secondary schools include Skinners Grammar School, Tunbridge Wells Boys Grammar & Tunbridge Wells Girls Grammar, (TWGGS). Aside from the Grammar schools, there are a number of other choices including the Bennett Memorial Diocesan School, St Gregory s Catholic School and the Skinners Academy. The property is well situated for a range of shops and services close by with many of the well-known high street retailers in the Royal Victoria Place Shopping Centre as well as the more individual independent shops and restaurants in both Tunbridge Wells High Street and Southborough High Street as well as the historic Pantiles. For leisure, Knights Park offers a multi-screen cinema complex, a bowling alley and health/fitness club for those looking for activities close by as well as a number of Parks and recreation grounds, the closest being The Ridgeway, Southborough Common and Pennington Park and , all offering a range of activities depending on your preferences. Further facilities are available on the fringes of the town and in the surrounding countryside for a range of activities such as golf, cycling, horse riding, sailing and many others. Transport links from Chestnut Avenue are excellent with High Brooms Main Line Station just a short walk away offering a regular service to London (to the North) and Hastings (to the South). The A21 is easily accessible just north of Southborough which gives access to the coast (to the South) and the M25 (to the North). Gatwick Airport is also within easy reach being around 25 miles away.